How much are dental implants in Mexico? The average cost of dental implants in Mexico from a good Mexican dentist is $1400 – $1800. That includes all the components of a full tooth replacement – the cost of the titanium post, abutment, and porcelain crown. 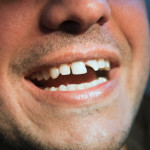 The corresponding cost of a full tooth replacement in the US is $3500 – $5500. In the Canada, the average cost of dental implants is $4500 – $6500. 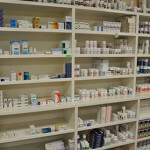 How much can you save by going to Mexico for dental implants? Around 50-70%. What is a common cost comparison mistake with dental implants? Implants are among of costliest of the dental procedures. Many people get a sticker shock when they hear how much dental implants cost, even in Mexico. It’s common for dentists to advertise just the partial cost of dental implants (whether in the Mexico, US, or Canada). If you are not knowledgeable, you might get a surprise after you find out that there’s more to the single tooth replacement price than what is advertised. How much is the full cost of a dental implant? It’s important to know that a full single tooth replacement using implants commonly has 3 components: Titanium Post, Abutment, and the Crown. Each component has a cost. 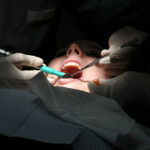 How much are dental implants at your local dentist? Here’s a sample treatment plan from a US dentist. Code 6010 (in yellow) shows 3 implant titanium post of $1474. This excludes the abutment and the porcelain crown. 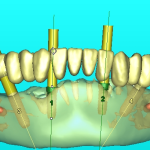 In the case above, you saw an implant dentist who installed the implant post and abutment. However, you still have to go back to your primary dentist to finish the tooth replacement with a porcelain crown on the abutment. Many ill-informed dental patients – who paid in full for the cost of their stage 1 implant post installations – get a surprise a few months after, when they learn that they still have to pay for the cost of implant crowns. Sometimes the patients, due to lack of anticipation, run out of funds and are left with implant post installations that they can’t use or restore with dental crowns. 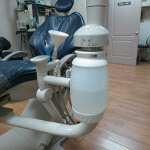 Most Mexico dentists provide you a simplified version of presenting the cost of a dental implant. Unlike the US or Canada, it’s common that you will receive your Stage 1 implant installation and Stage 2 crown installation in the same dental facility. Usually they have the implant specialist working with a prosthodontist or a general Mexican dentist to install the crowns. As mentioned, it’s important to ask your dentist in Mexico how much is the full cost of the dental implant replacement to avoid surprises. How much are dental implants with bone graft in Mexico? Regular or Surgical Extraction – remove the bad tooth that will be replaced by the dental implant. Bone Grafting – if you have insufficient bone, the implant specialist in Mexico has to build up the bone before or during the placement of the dental implants. Sinus Lift / Sinus Elevation – used to build up bone in the upper jaw close to the sinuses. Have you had dental implants from Mexico, US or Canada? Let us know how much you paid for the implants.